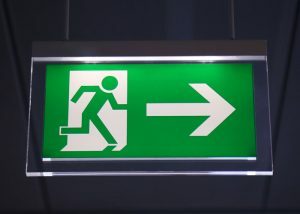 The Australian Standard not only requires that businesses install emergency evacuation lighting systems, but also that these lighting systems are to be inspected and maintained to a specific standard as denoted in AS/NZS 2293.2. The Standard instructs that Exit & Emergency Light inspection and maintenance must be carried out by qualified and experienced professionals every six months. Accredited professionals are required to keep a detailed logbook to record the maintenance status of the lights in question. This information can be made available electronically. The first is to maintain legislative compliance with the AS/NZS 2293. This Standard obligates businesses to undergo a maintenance check-up every six months, with additional maintenance work to be undertaken every year. The second is to ensure that your employees have access to a crucial safety feature that is proven to save lives in the case of an emergency. When working with Anmar Solutions, Exit & Emergency Light Testing doesn’t have to be a stressful experience. We focus on streamlining our process to make sure your compliancy and safety requirements are taken care of swiftly and professionally. Additionally, our online system will provide you with the records you need, along with a maintenance schedule to give you peace of mind. Anmar Solutions meets the industry standards of Exit & Emergency Testing by assuring full compliance with the AS/NZS 2293. The inspection of globes/tubes to ensure proper functionality and reliability. We will replace these globes/tubes where necessary. The inspection and replacement (where applicable) of diffusers. The inspection and replacement (where applicable) of batteries. A check for the compliance of sign type and distance requirements denoted by the current Standard. The provision of reports to ensure your safety log book compliance requirements. We tie this full professional service together with excellent customer service and complete transparency. There will never be hidden fees to worry about with Anmar Solutions.